I remember wandering around Dresden ten years ago. The Frauenkirche was still being reconstructed. On the side of a Soviet era building was a mural that would have done Stalin proud. However the local burgers in the new post unification Dresden had covered it with a thick shade cloth screen. Surprisingly a number of public buildings were still in ruins and many continued to show evidence of the terrible bombing and firestorm of February 1945 – nearly 60 years after the event. However it was obvious that Dresden had been a city of culture and that it was recapturing that sense again. 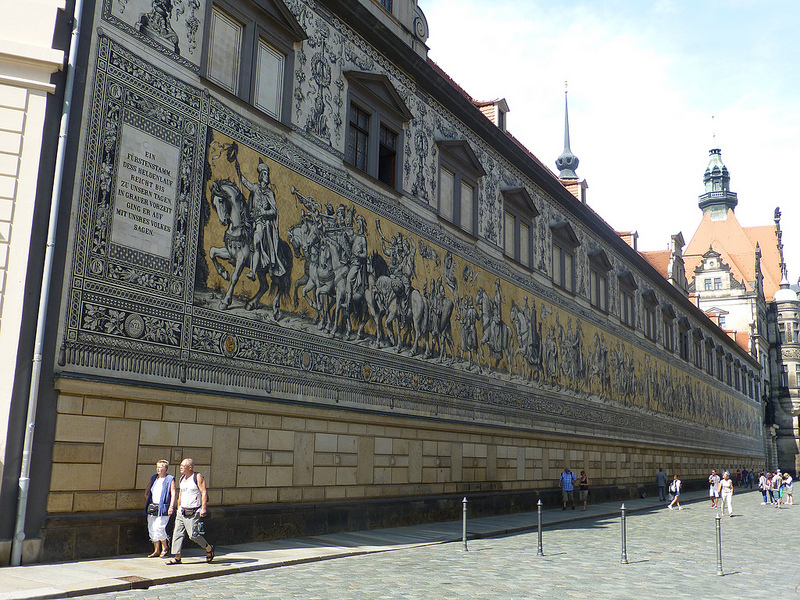 The Fürstenzug, a 100 metre C19th mural celebrating its medieval nobleman only received minor damage and was still a spectacular cavalcade. 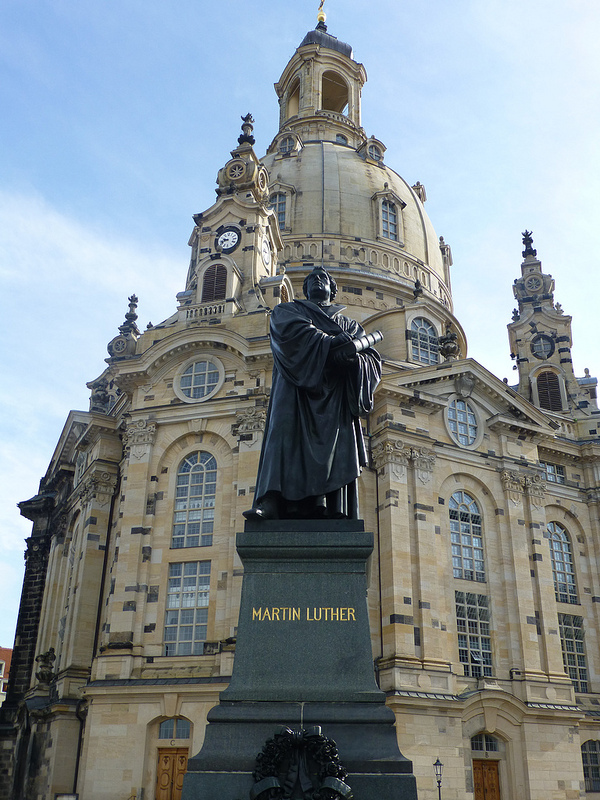 Recently my wife returned to Dresden and discovered that in the last 10 years the Frauenkirche has been completed and a lot of building and restoration has taken place. Dresden has come a long way to recapture past glories. 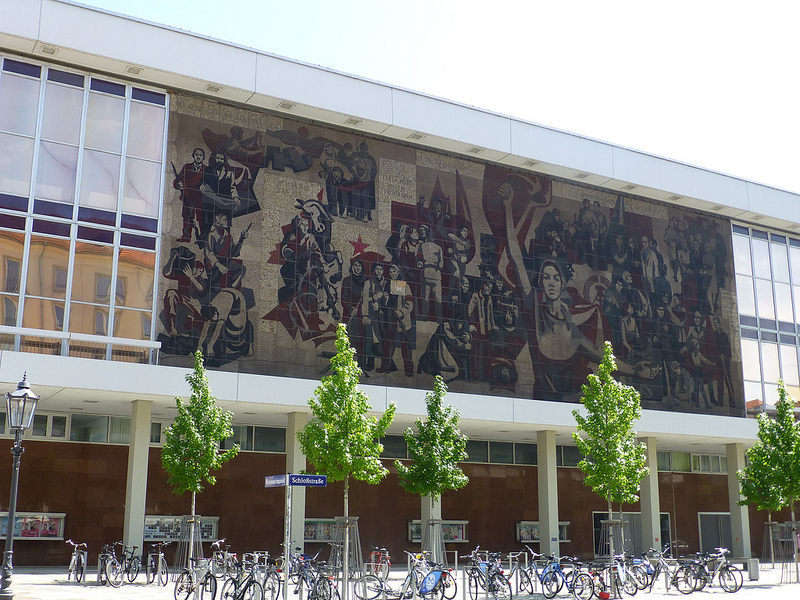 Also the shade-cloth had been removed from the building with the mural – Dresden is coming to be at peace with its own history.